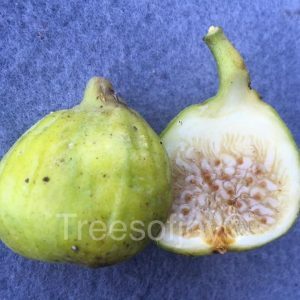 The sycamore fig Ficus Sycomorus is native to the middle east and parts of Africa. The name sycomorus came from the Greek Syca-Morus Which means Mulberry fig. 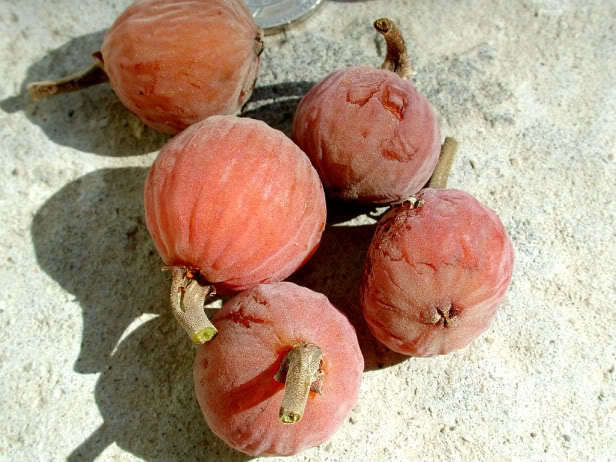 The leaves are similar in shape to mulberry and the fruit looks very similar to the common fig, except its smaller. 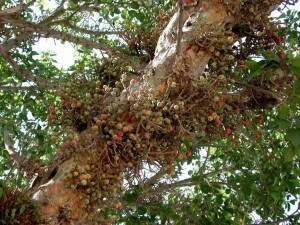 The fruits grow on clusters attached to the bark. 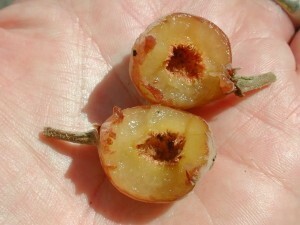 The fruit have a very sweet aroma. 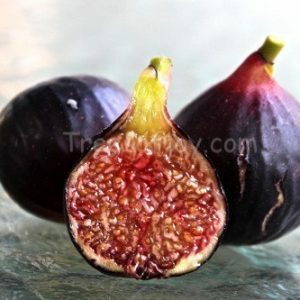 It tastes different than the common fig, a little sweeter and very aromatic. The fruit of the sycamore fig is not grown commercially. However, you may find fruits of the Sycamore fig selling in Israeli farm markets. 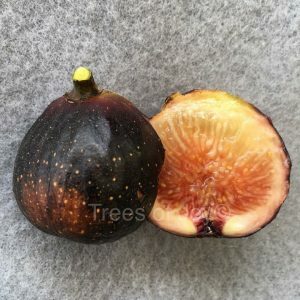 The trees are not as cold hardy as the common fig Ficus Carica. They are usually grown in the warmer regions of the Middle east and Africa. The Sycamore fig was mentioned a few times in the bible. Amos 7: 14: I was neither a prophet nor a prophet’s son, but I was a shepherd, and I also took care of Sycamore-fig trees. The prophet Amos occupied the most humble position in the society of his day. 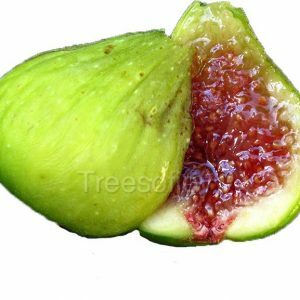 No one but the poorest cultivated sycomore figs for it was hard labor. Also mentioned in the new testimont, Luke 19: 3: He wanted to see who Jesus was, but being a short man he could not, because of the crowd. So he ran ahead and climbed a Sycamore-fig tree to see him, since Jesus was coming that way. Sycamore trees were planted on the sides of roads to provide shade and some were planted along the road that Jesus took. Here’s a great documentary on The sycamore fig tree of Africa. Hello, I’m not currently selling them. I hope to have some by summer. I can’t for this species to be offered. I’m watching for it, and I know of several other people looking for it. I hope to offer it soon. It is very difficult to propagate. Hello, sure but tell me how are you going to use it?